Earlier this month, a woman was hospitalized after a pickup truck collided with her vehicle on a highway in Muskogee County, Okla., according to KOCO.com. The news website reported that the 42-year-old woman was driving on State Highway 16 when a Chevrolet Avalanche hit her Mercedes. The site added that she suffered multiple injuries and was taken to a local hospital. Her 24-year-old daughter was a passenger during the accident and died later from injuries, according to Muskogee Phoenix, a local newspaper. TulsaWorld.com reported that there were two additional fatalities: the driver and passenger in the Chevrolet Avalanche that hit the Mercedes SUV. head-on with a Mercedes SUV, the news site added. NewsOn6.com wrote that both vehicles caught fire after the collision. Statistics from the Oklahoma Highway Safety Office show that in 2013, there were 18 fatal crashes in Muskogee County, the location of the accident involving the Chevrolet Avalanche and Mercedes. 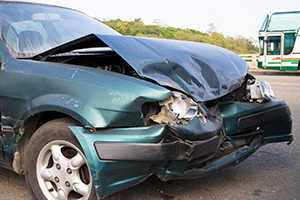 At the Edwards Law Firm, our team of accomplished Tulsa personal injury attorneys has helped numerous auto accident victims during the claims process and have the experience needed to recognize a car crash caused by negligence. Were You Injured in an Auto Accident in Oklahoma? Get the legal help that you need. Contact The Edwards Law Firm. We are experienced auto accident attorneys in Tulsa. So, we know how to determine if the other driver was negligent. Many times, we can handle inquiries from that drivers auto insurance company. By doing so, we can give you the time you need to recover. Stop wondering if you have a case. Contact us for a FREE case review. During the free evaluation, well determine if you have the grounds to file a claim. If you have a case, we can put our expertise to work for you. Our automotive case results(http://www.edwardslawok.com/verdicts-and-settlements.html) include over $2.7 million in verdicts and settlements.